March 1st has been highlighted red in my diary for weeks as the day that I would be visiting London’s two big exhibitions of the moment: Lucian Freud Portraits at the National Portrait Gallery and David Hockney’s A Bigger Picture at the Royal Academy. Pre-booking was pretty-much essential: with two such high-profile and eagerly anticipated exhibitions coinciding, both were quickly depleted on the ticket front – OK, a handful are available on the door but I wouldn’t have faced those lengthy queues (or risked disappointment) for all the tea in China! 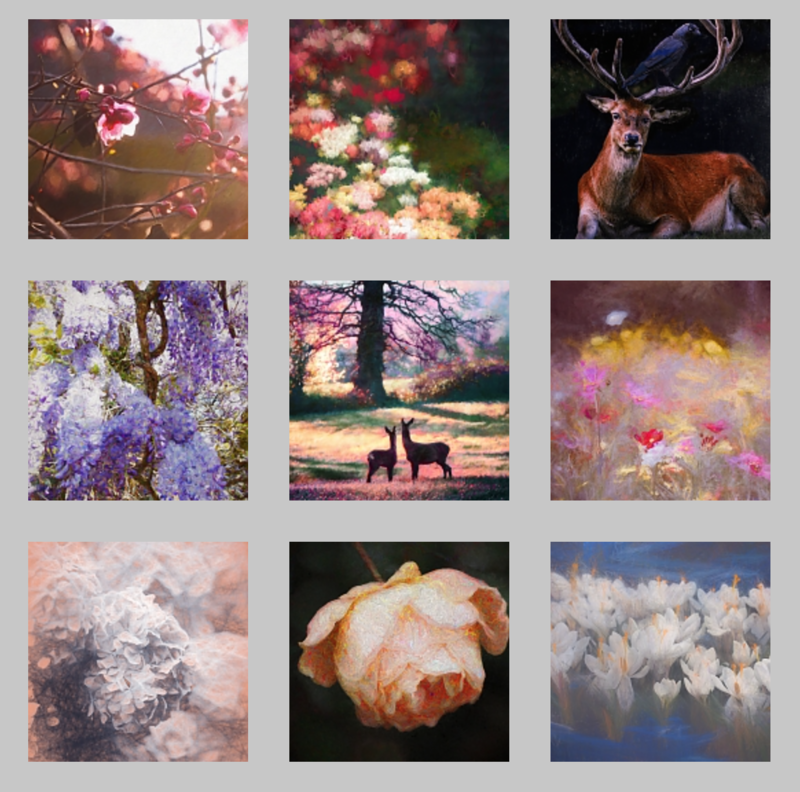 I’ve debated whether to deal with both exhibitions in one post, as one outing – there are even connections in my thought-processes and reactions – but I’ve decided to split them into “Part One” and “Part Two” for easier reading. So firstly (in the order that I attended) to Freud Portraits. Now Freud, I should say, has been a massive hero of mine for quite some time. Perhaps surprising as my own focus is on landscape but, as a committed colourist at whatever I do, I “discovered” Freud right back towards the beginning of the era when I attended regular life study sessions, years ago now, and when I first grew bored of all the endless charcoal sketches and started to play around with using paints. This didn’t happen very often, mind you, as setting up oils (I dislike acrylics) in a group setting when you have just an hour, two at most, to tackle a sitting and then transport the still wet, often very large canvas home in the car can be challenging but I did have a few goes. One of the main difficulties I encountered was the fact that the allotted time was invariably too short to get very far with oils and unless I could persuade the model to let me take a photo to work from at home (which would seem inadequate, in any case, having started from the live form), I would be left to finish the painting from memory – something I did more than once but which was so difficult to pull off that the finished painting would often evolve into an irreverent flight-of-fancy that bore little or no resemblance to the actual sitter or set that I had begun with and, sometimes, verging on the surreal. For instance, I still have in storage (in my garage – in fact he often falls on top of me when I go in search of deckchairs!) a very large canvas depicting a painfully skinny, bearded, naked sitter, originally sat on a box draped with a sheet, who I removed to a fictitious park bench complete with flower borders, keep off the grass sign and limp sandwich. All very silly, if a good exercise in painting from imagination. It also gave me plenty of insight into the fact that painting the human figure is a lengthy procedure if done properly (one which calls for a sitter dedicated enough to sit there for hours and hours – even when you are busy painting the props and the background, something Freud always insisted upon) and one of the messages that resounds out of this exhibition is that he worked in a painstaking and laborious way, often promising that a painting would be finished in just another week, maybe two when it would, in fact, quite often extend into months or years! Yet really the main point of bringing oil paints to my life study sessions was to try and get a handle on exactly how to capture the tones and texture of skin – never as straightforward as you think before attempting it. In reality, flesh is never the flat pinkish expanse that it is generally imagined to be and often depicted as; there are (frequently) greenish/blueish hues to be found, flashes of yellow, of purple, in fact layers upon layers of subtlest pigment that the eye merges together and labels this skin-shade or that, like names on the squeezie-tubes on the Max Factor counter. To go on a mission to capture the truth of flesh is to break it back down into all those component colours, those subtlest of hues that it is actually made up of – also impacted significantly by the quality of the light surrounding it (a point aptly emphasised by the difference between “day”- and “night”-painted canvases in this exhibition, as Freud kept a strict regime of particular sitters for one time of the day or the other and kept rigidly to working on each painting at its particular time until it was complete). It also requires of you that you approach the task as though it is your life’s mission to record every last detail, every lump, bump, shadow, vein and flaw and only then does the beholder’s eye declare itself convinced that, yes, here is a true likeness of the human form; anything less appears, somehow, cheesy in its waxen perfection. That’s, perhaps, one of the reasons why I haven’t pursued life study in a professional sense (other reasons will be discussed later and in Part Two…); the perfectionist in me just couldn’t face doing it unless I did it supremely well. 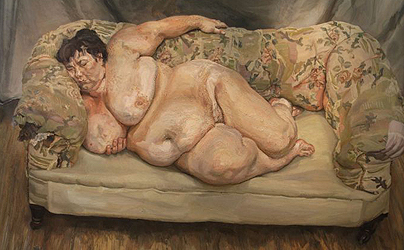 Lucian Freud did it, perhaps, the best of anybody I have ever come across! So, as you can tell, it was with a certain amount of eager anticipation that I zipped past the long queue at the entrance and, waving my preprinted e-ticket in my hand, launched myself into the Freud exhibition on Thursday morning and (apart from how stifling hot and crowded it was, you had to be prepared to be stepped on, reversed into and elbow barged at every turn) it was everything I expected and more. Here before me, laid out in ten chronological sections, were the very paintings I had grown so familiar with over years of thumbing through the various Freud books that have been made the staple of my coffee-table – and all coherently negotiated by means of the (very handy) iPhone app from the Portrait Gallery which, in the distinctive resonance of Zoe Wanamaker, talked me through some of the key paintings in each room. In spite of the crowds, I took my time. Determined to get everything out of this that I could, I also held my ground when I felt I needed to, leaned forwards enough to study brush strokes and technique, tried to get my head around the layering, the tonality, the texture – in short, did all I could to extract something of how he did what he did, jotting down notes as I went. What I marvelled at the most was the sheer extent of the detail he achieved – quite staggeringly meticulous detail in the earliest paintings, where the fibres of dressing gowns, hairs of dogs, and curled tendrils of hair frizz were individually reproduced along with the immaculate lines of striped ticking on a mattress, the light and shadow on the beads of a bead-curtain, and so on and so forth. I learned a great deal from how he incorporated all of that detail to great effect and from how he was (already) achieving such effective skin tone and yet those earlier paintings appeal to me the least of his career’s work – partly because of the exaggeratedly out-of-proportion eyes that were his trait at that time but which, to me, made his subjects appear staring and doll-like but also because he hadn’t quite got there (although there was considerably promise) in terms of depicting the sheer fleshiness of flesh (for want of a better phrase) and all the truth of humanity that seems to go hand-in-hand with that. And that’s an important point to make because, as I made my progress around this exhibition, there was a tangible sense that, as the flesh became ever more real in these paintings, then so did the emotions, the captured essence of humanity, that were wrapped up in it. An observation spinning off from that one is that all of Freud’s subjects seem to carry a human burden, a moroseness, a tangible vibration of essence sent out from the canvas that can range from lethargy to world-weariness to out-and-out angst. It seems to be something he looked for in his subjects: he needed that sense of stuff going on in the real-life worlds of his sitters so that he had a handle to grasp in his search for the essence of the person, which is the real subject of all these paintings. He said of his sitters that he wanted them to be who they really were when they sat for him, to have their “inner life ticking away” as he painted. No sitter was immune to the level of exposé that being painted subjected them to; even the fully uniformed figure of Andrew Parker-Bowles emits a staggering amount of vulnerability through a preoccupied look on the face, a defensively clenched hand, a world-weary and somewhat bedraggled demeanour only emphasised by the tatty chair and the stomach-paunch clearly visible beneath his white shirt. Freud’s search for extremes of emotion and, later, extremes of physicality – I’m thinking, of course, of his series of paintings of Sue Tilley; see “Benefits Supervisor Sleeping” (1995) above – struck me as being akin to my own search for extremities of light: there is, quite simply, so much more to paint when there are extremes of anything! As you follow the chronology of his work around the exhibition, there is a tangible stepping-up of things at a point that I identified as being 1952, the year of Freud’s “Portrait of John Minton”. The skin, hair and eyes of this subject are minutely observed, his inner state (Freud himself described artist Minton as someone who complained of “feeling doomed”) conveyed amply through each and every miniscule aspect of his grey, angst-ridden face: here was a troubled man (he went on to commit suicide). 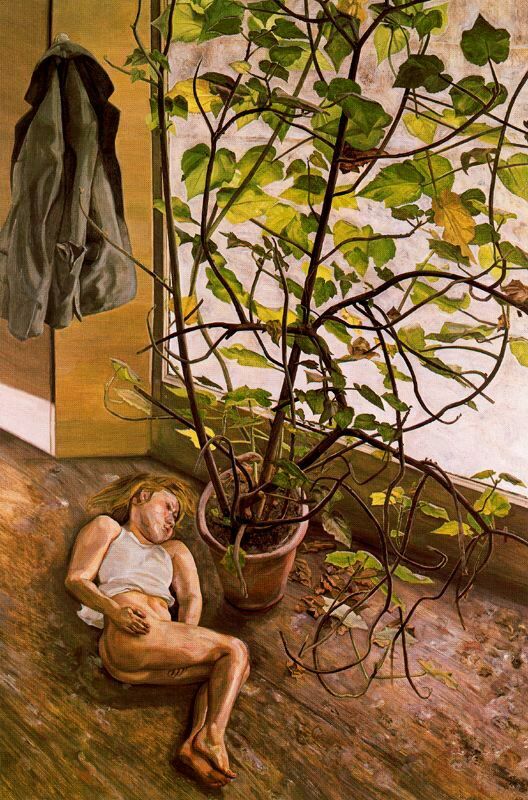 But, for me, Freud really started to arrive with the exquisite portrait of his second wife Caroline Blackwood, entitled “Girl in Bed” (1952) and the adjacently hanging “Girl in Green Dress” (1954). The use of oil paint in this pair of canvases is so soft as to almost appear like pastel, the multi-hued skin tones are perfectly captured along with every freckle, every greenish vein, the very dryness of the lips and then, conversely, the very moistness of the eye rims. I immediately felt that I recognised these faces, they were so real as to trigger a sense that I knew them both as some girl or other from the past, someone whose translucent skin I had been fascinated by at school, whose way of gazing into space was familiar to me; this was a capturing of some ingredient of familiar humanity, of vulnerability of expression, that is far beyond the capacity of a camera. From this point on I began to find that, for me (whereas I disliked the eyes in his earlier paintings), it was the paintings in which the eyes of the subject were made a feature, both open and preferably light or moisture-filled (and that isn’t always the case with Freud as often the subject is often looking down or away) that really came to life off the walls. It is during this era, in fact immediately after the painting “Hotel Bedroom” (1954) – also of Caroline Blackwood – that he apparently sat down to paint at his easel for the very last time and so, in line with that, the finer work comes to an end and is replaced by something much stronger and more assertive; this is Freud coming into his domain. The leaps made in capturing skin tone and sheer physicality of the human form continue apace but are married to a stronger, bolder brush – a transition I can well-understand in reverse because I started out painting in a standing position, back in the days when my canvases were huge and bold but, in a conscious effort to refine – or tame – my stokes (and reduce the size of my paintings, a needs-must in a market where the larger canvas is a struggling commodity! ), I made the decision to sit down a year or so ago and have done so ever since, as a result of which my own style has also morphed into something quite different and – in my case – much more constrained. So, with relevance to my own technique, here was an interesting demonstration of the apparent correlation between painting position and painting style, one which has prodded back to life my uneasy suspicion that I may have taken a counter-evolutionary step in my own work. And Freud certainly did let himself go from there-on-in, his paintings becoming ever more expressive of the sheer physicality of the human form as he embarked on the whole new adventure of taking tonality and texture to the limits of his imagination and with jaw-dropping results (although, I admit, I recoiled from some of the really heavy impasto of later work, where paint is plastered on like a poxy skin condition, especially when it is to the face; I have a love-hate relationship with impasto in my own work and have yet to reconcile its excesses with its appropriate use). I found there was a great deal to be learned from a compositional point of view – it seems Freud never tired of playing around with composition, from the days when he started to angle his viewpoint so that the forehead of a subject would dominate far more than the front-face, to his various self-reflection compositions (self-reflective in a literal sense, as in using a mirror, and as an exercise in studying himself) to one of his very last paintings where he includes a second study of the sitter’s leg protruding from under the bed like a dismembered limb. One of my favourite compositions of all is “Naked Portrait with Red Chair”, where the sitter looks almost to have thrown herself on the bed in a posture of exhausted abandon (Freud liked his subjects to find their own positions) and the floorboards defy all logic as they change direction and almost pour from the bottom of the canvas in a dramatic distortion (one which is far more powerful in reality than you could ever glean from a photograph) that appears as though the floor is falling away, the room tipping. I could go on and on, identifying paintings that I particularly enjoyed – of which there are many – and why but I’ll leave that to the guidebooks and your own take on the exhibition if you get there. Freud’s determination to capture skin, to (in a sense) make skin with his brush – his own self-declared ambition being that his paint would “work just as flesh does” and his “portraits to be of the people, not like them” – is an ambition he worked tirelessly to realise to the very end. As an aside and of relevance to me in a very personal sense, I found that the rare painting where a flash of green leaves was also depicted would grab my attention and draw me to it and I found this an insightful reaction because it made me understand just how important the inclusion of green life-form is from my perspective, perhaps another reason why the human figure is just not my subject – it makes for paintings that are, well, all too flesh-coloured. To illustrate, as soon as I entered Section II of the exhibition, I found myself bowling towards, in fact almost running up to, “Large Interior, Paddington” (1968/69) because of the inclusion of a large plant towering over the figure of Freud’s daughter – on close inspection, a depressingly morose figure curled up on the floor but, really, it was the green leaves that had drawn me to this painting like a siren-call. The same again with the slightly bizarre “Interior with Plant, Reflection Listening (self-portrait)” which depicts a giant-scaled pot plant and, beyond that, a tiny relection of the artist who appears like a miniature Tarzan peering through jungle foliage, a peculiar composition but, for me, it was the plant that was the source of my excitement as I stood there admiring the life-like achievement of its metre-high proportions. 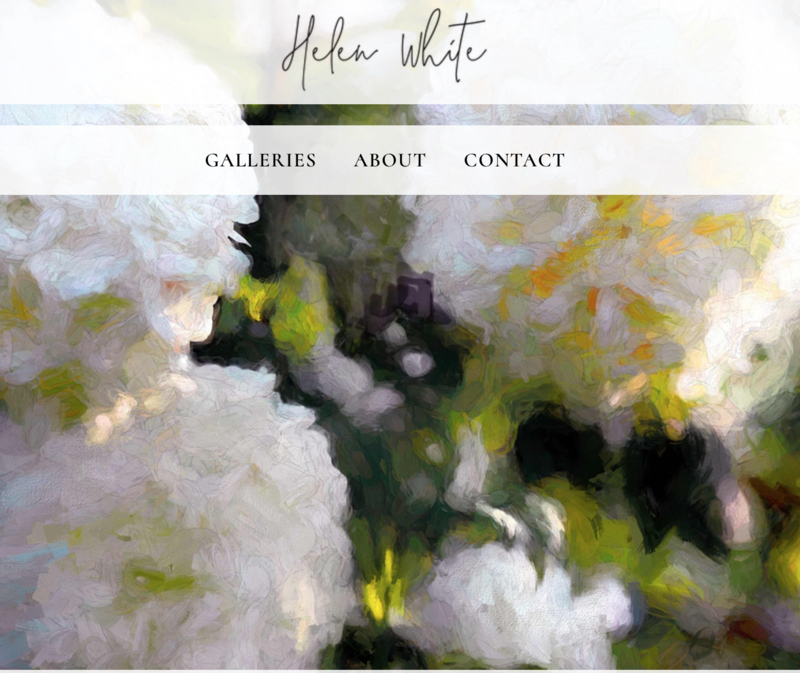 And, to me, that reaction was hugely telling – it taught me a great deal about what I do and don’t want to be painting. I’m sharing this because it captures, in a nut-shell, why artists should never stop looking at the work of other artists – if only as a means of clarifying, solidifying what it is that their own art is all about and where they want to be going with it. For the longest time, I’ve carried around with me this vague inkling, a burden almost, that I should go back to life-study and back to painting flesh, that I would be somehow incomplete as an artist if I didn’t devote a year or so to pursuing this aim and refining my skills. In the space of time it had taken me to cover just half an exhibition, I had experienced a momentous epiphany – painting human flesh (whilst I can admire the efforts of others who have done this and done it well) is simply not for me; my subject matter is the natural world, the very-much greener world in which man dwells. That observation reached and feeling very much lighter for it as I moved on towards the exhibition’s conclusion, I became steadily aware of feeling quite over-awed by the sense of this man’s achievement over a lifetime; his own creative journey now laid out in the space of this one exhibition as a finite thing that is resoundingly “at an end”, right down to the very last brush stroke he ever applied and the bare expanses of the canvas that was left unfinished (his painting of studio assistant David Dawson was incomplete when he died). For me, there could be no more poignant reminder that whilst a legacy may live on, the working span of a painter’s life is no more infinite than any other – I have, what, another forty paint-brush-holding years ahead of me and so I need to get my head around these: what do I really want to do with those years, what would I regret not having done if I left this world tomorrow, what do I want my life’s work to look like when it is complete? I’ve been more fired-up, this past forty-eight hours, than ever before and with a real sense of being able to leap forwards to the future and look backwards to what I would want to see as the landscape of my career when I get there. Like never before, a torch has been lit – the message driven home that I have work to do and want to do it – and that is one very positive outcome indeed from the time taken to go to an exhibition and the price of a ticket, quite aside from the sheer impact of seeing those tremendous, often monumental paintings at such close quarters. Whilst Freud’s subject might not be my subject, I remain in awe of his work and he has inspired me more than I can say. 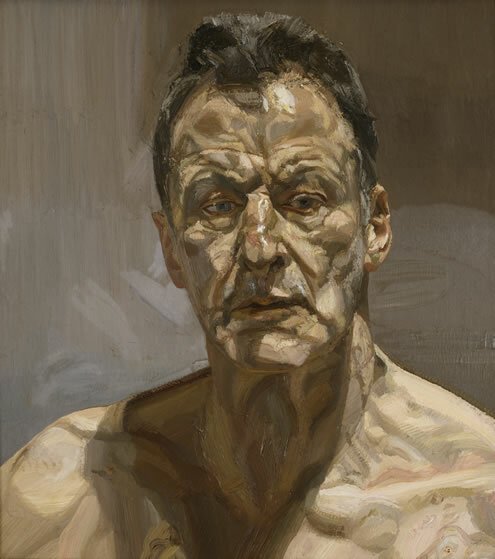 This entry was posted in Art, Art history, Art technique, Artists, Biography, Painting, Portraits and tagged Lucian Freud, Lucian Freud Portraits Exhibition. Bookmark the permalink.